Students from Kings Norton Girls School and Waverley School believe that the Birmingham Suffragettes are an important part of their heritage. Fight for the Right investigates social and political change though local eyes, exploring different ways of campaigning and protesting, and will focus on ways of researching, interpreting and recording Birmingham women’s history by young women living in Birmingham today. While some of the young people involved have some knowledge of the Suffragettes, very little is known about activities that took place in Birmingham and this area is not covered by the National Curriculum. The project will explore social and cultural change within women’s rights today, by engaging diverse communities of young women to explore ideas about voting and politics. The entire process, including all activities and workshops, will be visually documented and materials will be donated to Birmingham’s new library as a heritage learning resource. 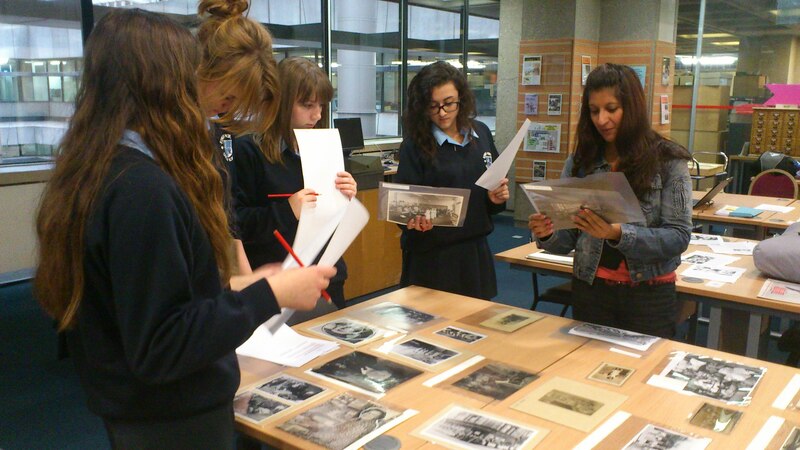 archival research will be interpreted where debate and campaigning will form the focus.This will lead to the young people scripting and filming a historical re-enactment film interpreting the Birmingham story and focusing on the activities of the Suffragettes and their more peaceful counterparts, the Suffragists. Both the re-enactment and a reflective documentary presenting the research, findings and opinions of the young women involved in the project will be used as a teaching resource for schools and will be celebrated by screenings in both schools, along with an external venue in Birmingham, and the film will also be submitted to youth film festivals.